A photo on Bristol Mountain's Facebook page shows a bare mountainside the day after Christmas. 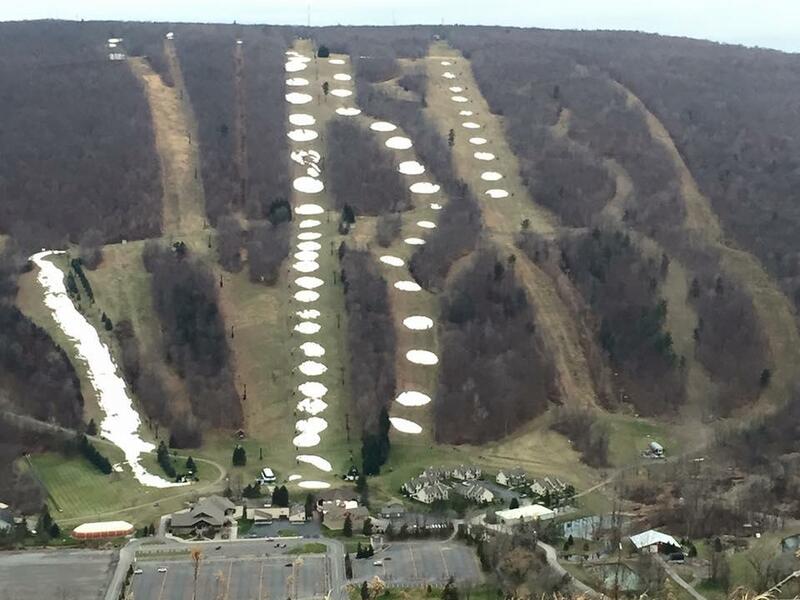 Bristol Mountain opened one trail for skiers today, after almost a week of warm temperatures prevented them from making snow and resurfacing. Marketing Director Drew Broderick says the snow making team has been working to cover Sunset Trail, an intermediate to advanced level trail for skiers and snowboarders. She says despite losing a few days, the holiday season is still a crucial time for them from a business perspective. "A lot of the kids and adults have taken off the holiday week, so we want to make sure there's some trail open so they can get out and enjoy the winter." Despite forecasts showing higher temperatures later this week, Broderick says she's confident about the future. "It just varies, and this is just one of those years where, you know, we're getting a little bit of a later start but I think once we get going into January and February it's going to be more typical of what a winter is in New York." She says in the meantime, their customers have been very understanding.